With the upcoming GDPR deadline of May 25th fast approaching, Robertson Languages International (as part of the Wolfestone Holdings Group) is pleased to announce that it’s fully GDPR compliant. On Wednesday 2nd of May, Robertson Languages International attended the Surrey University Translation and Interpreting Careers Fair. Robertson was invited to speak at the event to inform students about career opportunities in the translation industry. 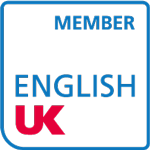 On 8th December, Robertson Languages joined Wolfestone, a multi-award-winning translation company from Swansea. Since its inception in 2006 as the provider of small certificate translations, Wolfestone has grown exponentially to become the largest language service provider in Wales.